"Look at the cross-section of these students: from Southeast Asia, the Middle East, Latin America and the United States," said Jeremiah Dumas, MSU's associate director of sustainability. "These students come from four different directions across the world, and they will be able to take what they've learned to those places." Though the MSU team developed designs for two challenge categories—master plan and site design--only one will be formally entered by EPA's Dec. 13 challenge deadline. The students will submit a proposal for the area in front of the State Fountain Bakery, in the center of campus. 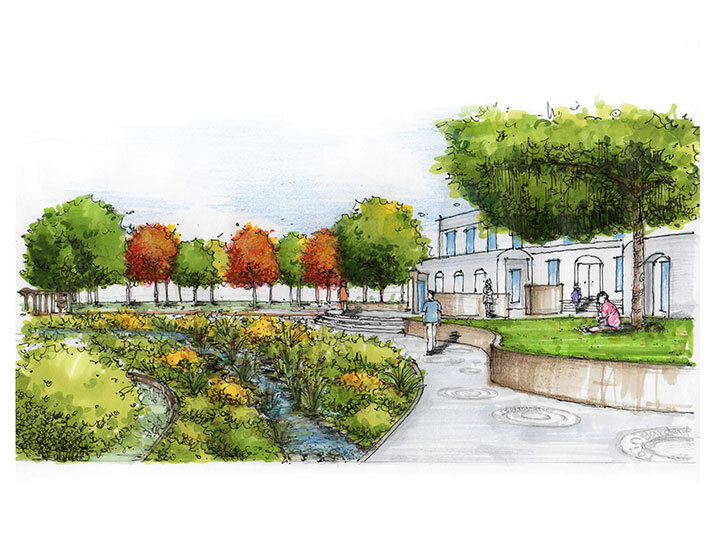 The site design includes an amphitheater, outdoor seating and art features, in addition to stormwater management facilities.